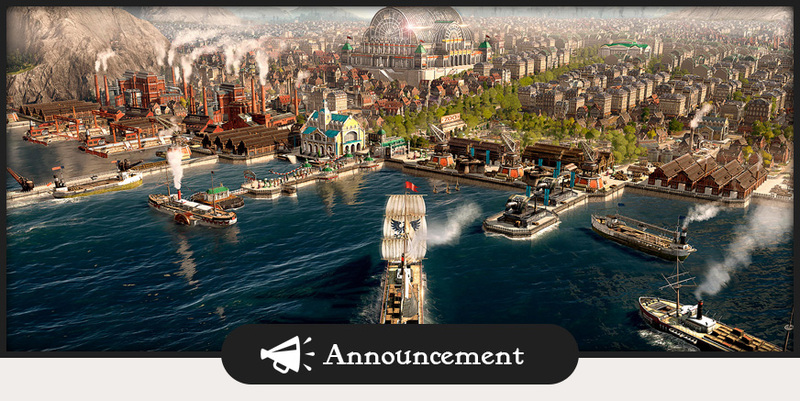 Whether it is teaming up with friends to end Alonso Graves’ reign of terror or taking on three other players to see who will be the last man building- playing Anno 1800 alongside and against your fellow human players can make for tense adventures. 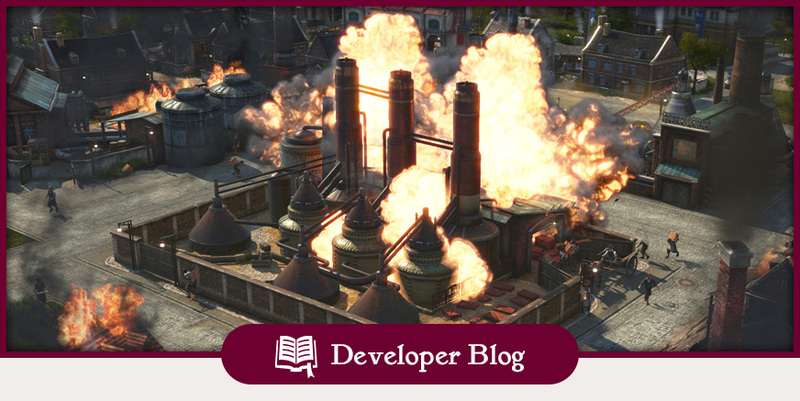 So today, we want to talk about Anno 1800’s multiplayer mode, what options it gives players and also give you some interesting insights into how we make it possible to run an enormous simulation with more than one player. 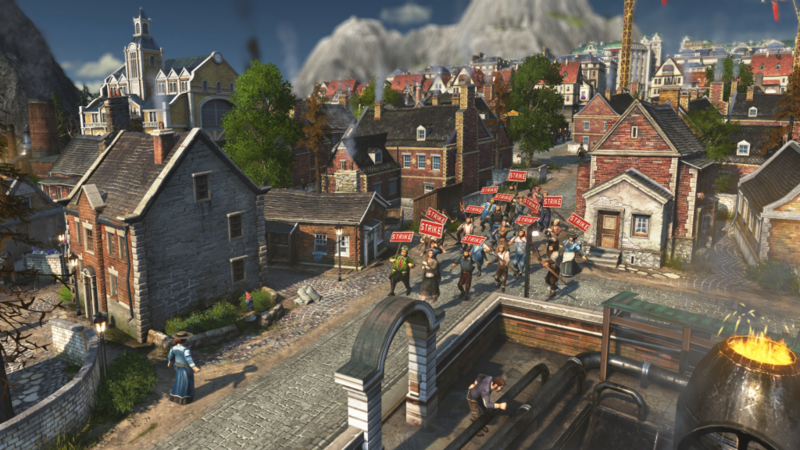 In Anno 1800’s multiplayer mode, up to four players can join a match to settle and conquer islands in an alliance or in a race against each other to reach the victory conditions first. Players can freely trade among each other, and with the possibility of trading any goods, they can decide if they want to start a trading conglomerate with specialized production on each side. 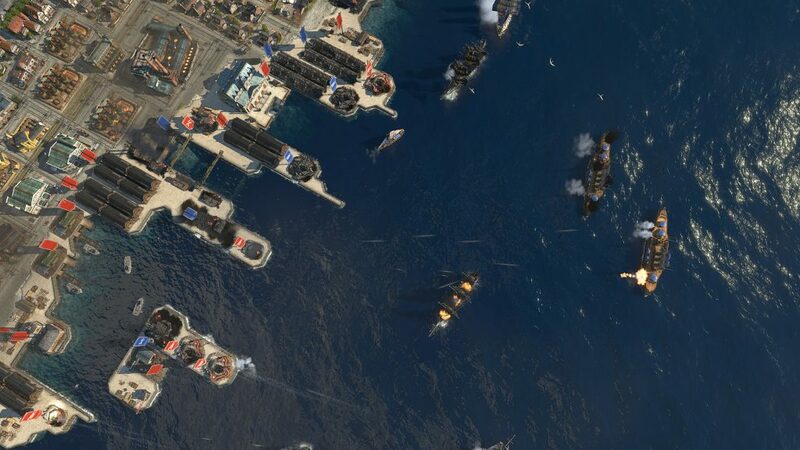 And should you find yourself short of a full set of human players to stage a naval battle to rival Tsushima Strait, you can always fill any open slots with an AI character of your choice. This choice of how to approach the multiplayer is very important to us, no matter if you want to go for an ultra-competitive race to be the first to construct a battlecruiser squadron, or if you want to play a relaxed Sunday afternoon match with some old friends. 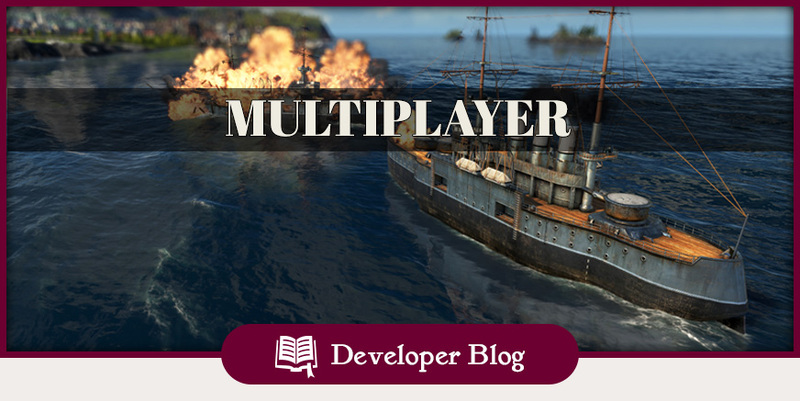 And since this is a question that came up many times in the past: Yes, the multiplayer mode supports the full range of gameplay options in Anno 1800, including the second session in the New World! So will be the first to settle a tropical island? 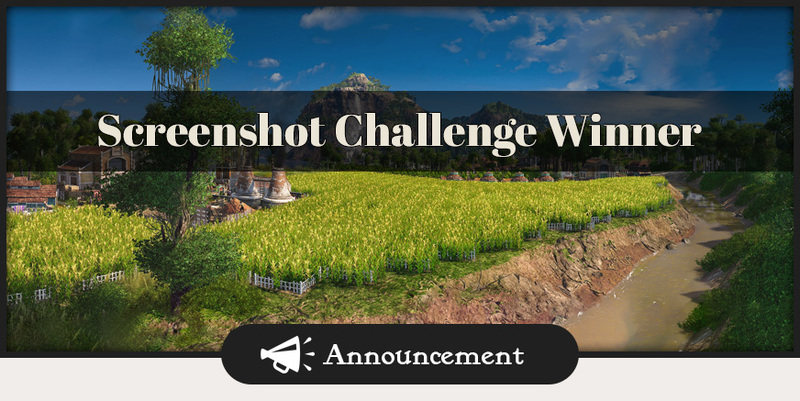 There are several game modifier which allows you to set the stage for the game experience. 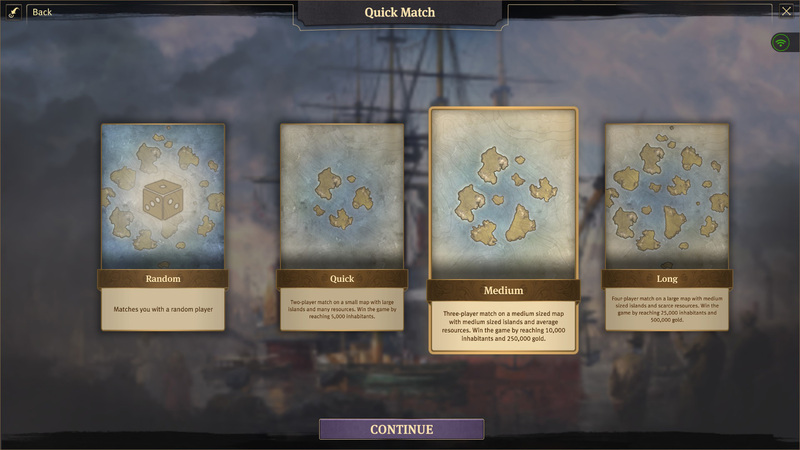 Alliance with shared victory conditions – You can start the match with an active alliance pact between all players and shared victory conditions. This allows for a truly collaborative effort for players who want to work together as a team. 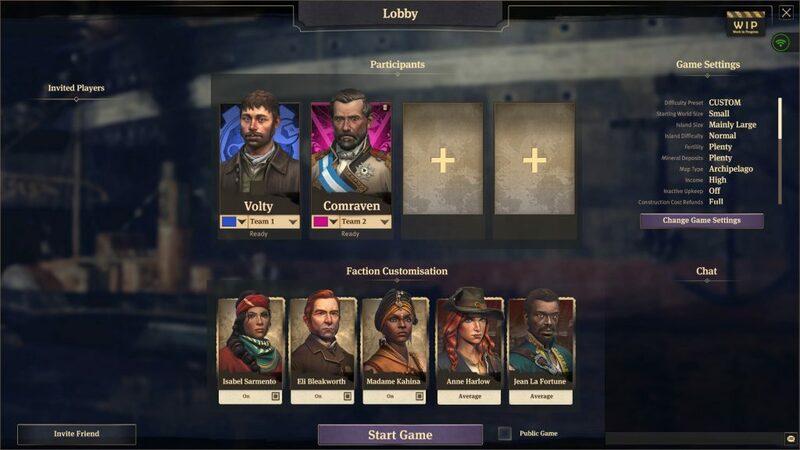 Alliance without shared victory conditions – This game mode enforces peaceful matches between players while encouraging economic competition thanks to the personal victory conditions. Free-for-all – A free-for-all, with no shared victory conditions and no active trading or alliance treaties. In this mode, it is solely up to you how the world (and your fellow players) will remember you. And while it can be fun to build and expand for hours on end, we know that some players prefer a more defined game experienced with a clear goal. That is why we have the same set of victory conditions as in the Sandbox mode, such as being the first to construct a monument, reaching X amount of investors of generating a positive revenue of X. You will also be able to select whether players have to reach one or all of these goals to emerge victorious from your online match. 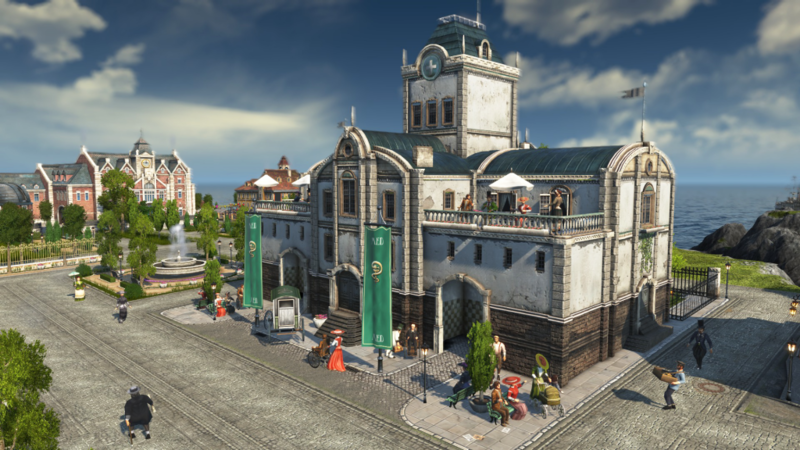 Anno 1800 will offer two game modes to set up games, either allowing you to invite friends into your custom sessions, or to be paired up with random players via matchmaking. You can either create or join a custom made multiplayer match, where the creator of the session can take full advantage of all custom settings of the classic sandbox experience. Once you set your various parameters and decided which AI should populate your island space, you can invite up to three players from your friend list to your match. And if there is this one friend of a friend who wants to join you, players who join also have the rights to invite players from their friend list. The game mode supports a maximum amount of 4 players in total, which also includes AI opponents who can fill the ranks of missing players. Our new Quick Match mode will match you with random players around the world in preset multiplayer sessions. The presets allow you to look either for a match with two, three or four players or alternatively just look with “Random” where a slot is available in any of the three presets. Unlike in custom matches, you won’t have any non-player characters in Quick Match other than NPC traders and every game mode comes with preset victory conditions. 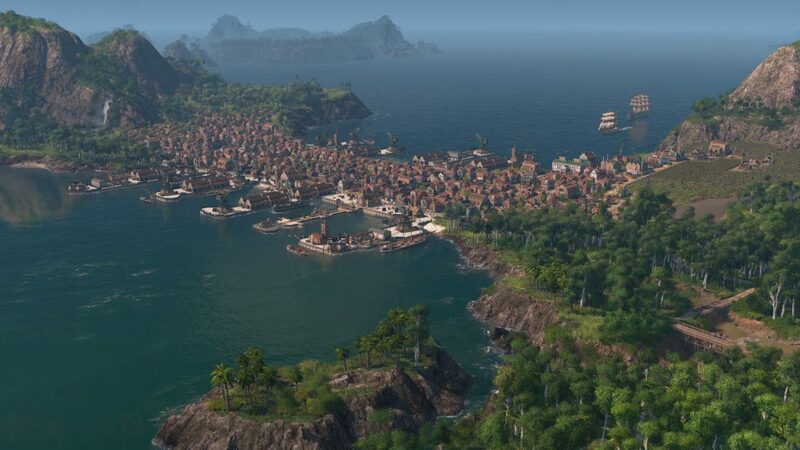 Simulating a vast and complex strategy game like Anno 1800 in a multiplayer match is quite a challenging task. To make it possible, we make use of a “lock-step” mechanism, a system which allows simulating the whole game state on every single PC and as a result of that minimizes the amount of data traffic between the players. In case the game states of the players will differ at some point in time, the game will detect it (we call it a desync) and immediately provide a simple one-click solution to repair the game state with automatic synchronization of all parties participating in a match. You will be able to save the state of the game to continue the match with your friends at another time or to switch hosts if the initial creator of the session is not available. This also means that when you are creating a session from a previous multiplayer savegame, players in the lobby can decide which island to control during the game. And if you cannot remember the party of friends from your last session anymore, we will display the players which played with you before. This large-scale simulation and synchronization process is also the reason why fast-forward is not available in multiplayer sessions. Speeding up the simulation would have a big performance impact on the CPU of each player. However, you will be able to pause a multiplayer game to allow everyone to take a break or get a refill of your favorite beverage. 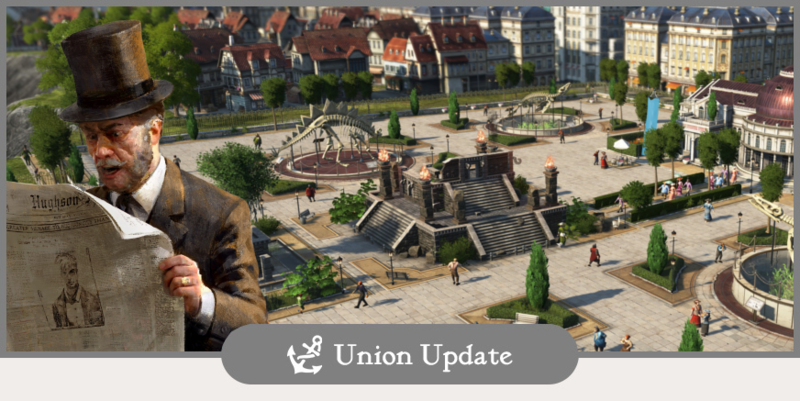 While the Anno multiplayer experience always had its vocal fans across the years, we hope that with Anno 1800, more players will team up to experience the game together. We received a lot of valuable feedback during the technical test and Closed beta, giving us ample data we currently use to improve the multiplayer experience for the launch of the game. 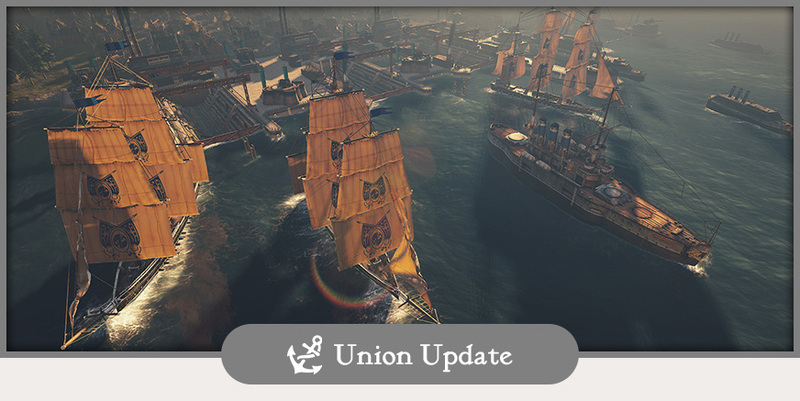 And as your feedback is always important to us: While there won’t be a classic Co-Op mode in the game at launch, we will add it as part of our post-launch plans for Anno 1800. 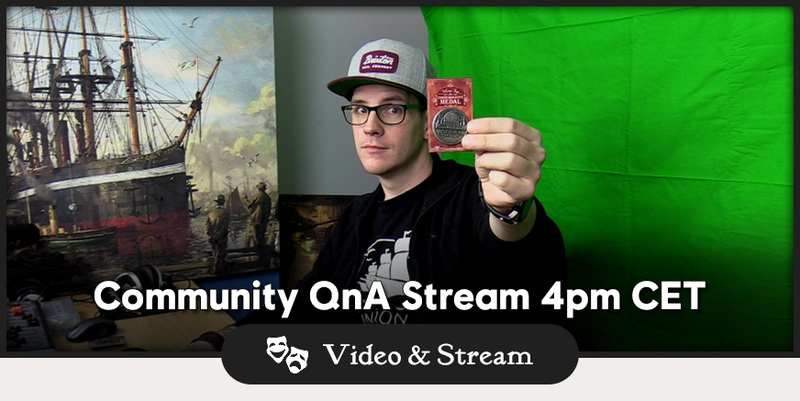 Today, we invite you to our first Community Corner, a livestream with Community Developer Bastian Thun, where you can ask questions regarding the development of Anno 1800, while he tries to build a city in Anno 1800. 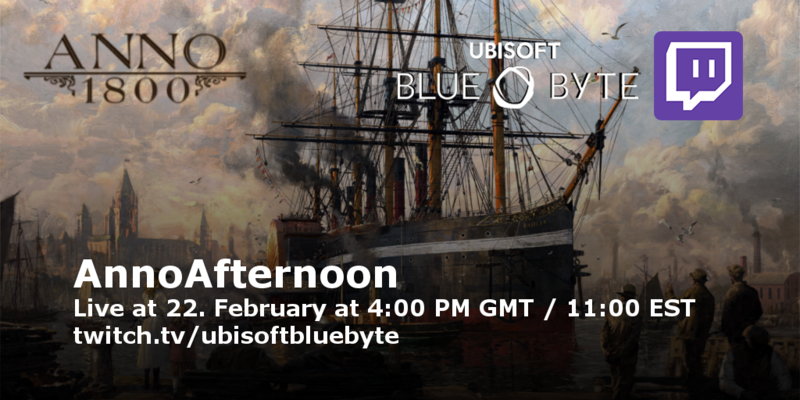 It will start at 3PM GMT on our Twitch Channel or you can watch it here on the Anno Union below. Working from dusk till dawn, skin tanned from the smoldering heat of molten steel, just enough time to swipe the sweat out of your eyes. The Baron demands his guns and there is no time to breathe or room for compassion. And in one misfortunate moment of exhaustion, a hand slips and the massive calciner first starts to sway, before seconds later, its scorching load burns its way through the factory. 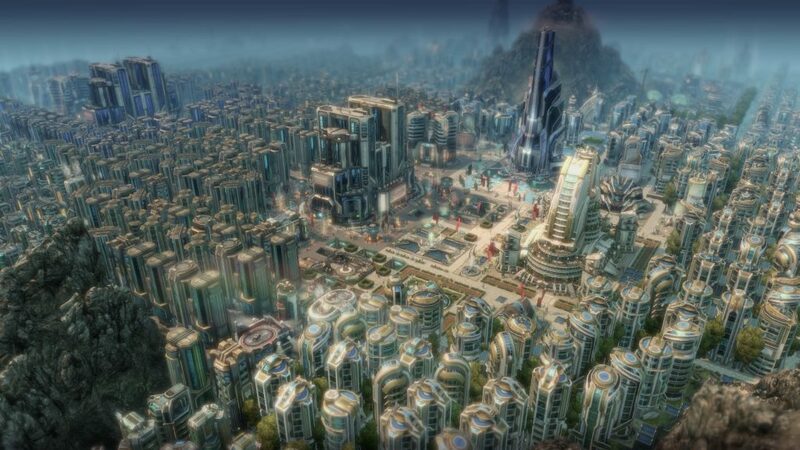 Incidents such as blazing firestorms bring tension when managing a sprawling metropolis and they also mimic the realism of catastrophes which can throw life out of balance. You are the major in charge of the fate of your citizen, as you have to strike the balance between relentless progress and the glooming danger that one catastrophe might be enough to throw your city into chaos. For the seventh title in the series, we decided to expand on the city incidents from the fan favorite Anno 1404. The rule is that incidents can happen at any time while the likeliness is determined by several factors. Working conditions and happiness of your residents, as an example, affect the chance of a strike to happen while your heavy industrial districts have a higher risk of a fire breaking out. While every incident has its own chance of dying down on its own after a while, the chance of a fire spreading wildly through your streets is way more likely, especially in cramped residential districts. You won’t be able to disable city incidents completely, as they are intertwined with different game systems, but if you like a more relaxed experience, you can turn the likeliness of them happen significantly down. Or if you like a real challenge, how about scaling them all the way up to the max? 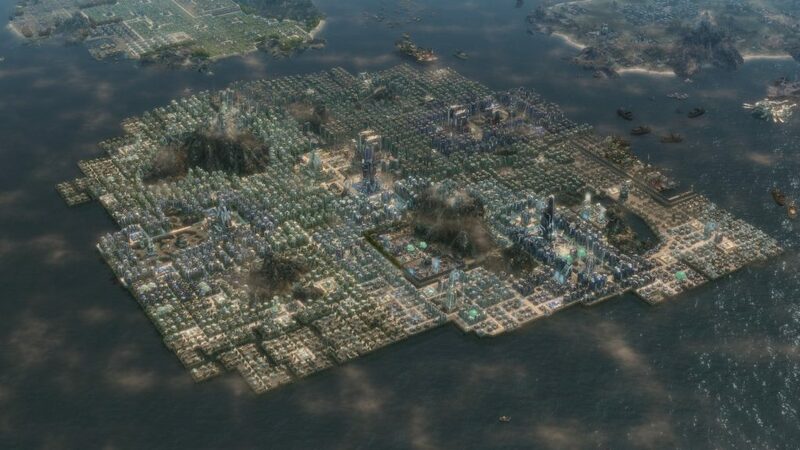 In total, Anno 1800 will have three different types of city incidents to keep you on your toes. Fire: Blazing heat and explosions, what’s not to like? Fire is not only the most traditional incident, as firestorms eating through rooftops of a densely populated cities are a primal nightmare since mankind erected the first cities. 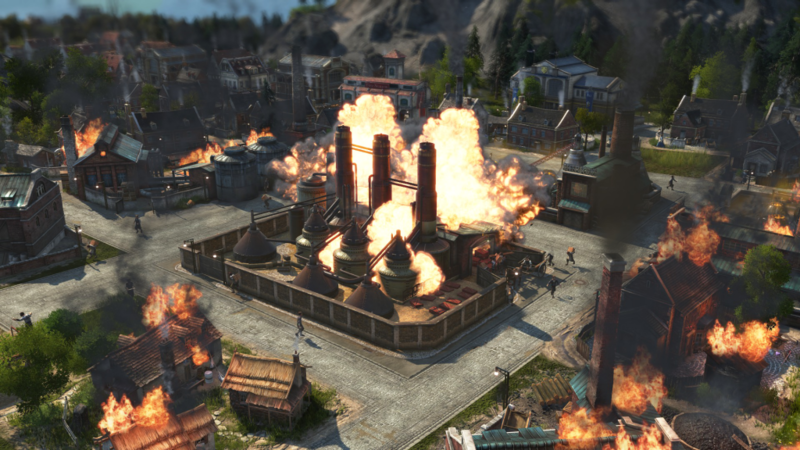 In older Anno titles, fire could only appear and spread in residential areas but now, they will be also able to attack your production buildings, with your modern factories especially being a welcome target for the flames. To expand that system further, different production chains have a higher chance of catching fire than others, representing the brutal industrial expansion and workshops growing to enormous factories. A factor influencing the chance of a fire appearing are the working condition slider, as pushing your workers into overworking themselves might boost your productivity but also raise the chance of an unfortunate incident happening. An increasing problem during late game, as oil production chains and the electricity feature, which can boost some production above and beyond, provide great benefits but are a real safety hazard. While other incidents such as sickness can spread even faster than fire, the flames are way faster in shutting down buildings, which means cutting you off from taxes and workforce from the affected area. Wait a moment, you said….EXPLOSIONS?! Imagine a rare chain reaction such as a schnapps facility burning down, bursting into spitting debris, sets more schnapps distilleries on fire causing a nightmarish chain reaction. The chance of a sickness spreading through your cramped metropolis is affected by two elements, working conditions and pollution from nearby production buildings. Different than fire, illness is targets only residential districts. This way, it will still affect your available workforce but you won’t need to build hospitals close to your factories. Once a sickness breaks out, residents will stay home until they have recovered, which functions as a temporary de-buff to workforce and taxes provided. But beware: in the overcrowded and sooth blackened cities of the 19th century, an illness can spread rather fast and you will probably never underestimate the danger of a outgrown plague ever again once it hit a large amount of your population. 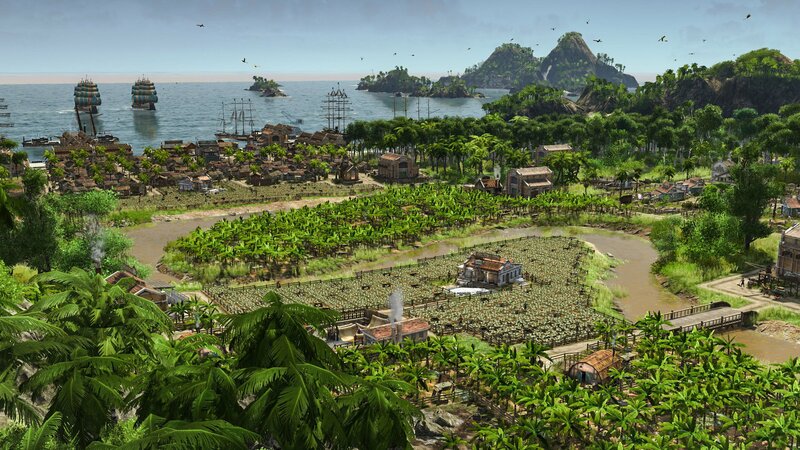 And if you thought your outposts or getaway islands are safe – sickness can even jump over to your or ships from other parties to spread across islands or even travel to another session. Riots: The birth of the social movement! The workers movement marched through the 19th century and was the most influential factor to change the society as we know it today. Riots can affect residential and production buildings of your city, although with a different reasons why people go on the streets or lay down their tools. 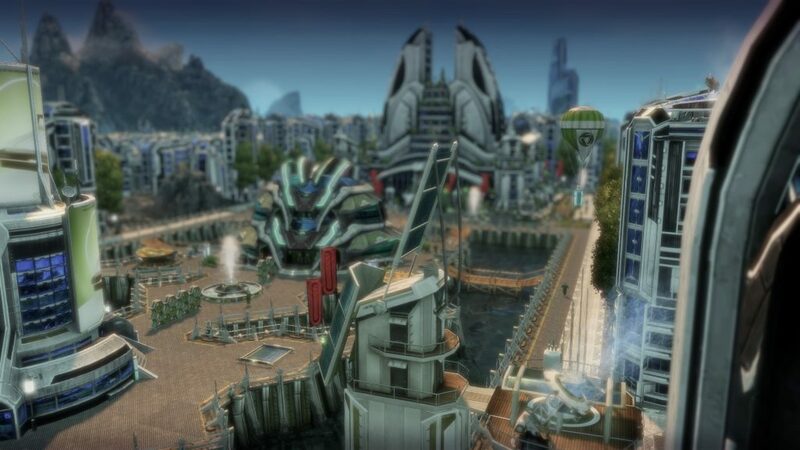 In residential areas, the chance of a riot is affected by the general happiness of your people while in production districts, working conditions are the biggest cause for a strike. That means that if you overwork your people, they might stop working and go on a strike even if the folks in the residential area are happy and vice versa. It goes that far that it can even affect specific production chains as you are able to alter the working conditions for each production separately. A strike can start small, just affecting one specific building but might erupt to a general strike which can cripple a whole type of production chain. Strikes can further spread as people will gather together, shouting their demands and sprawling through the streets on the look for sympathizer and fellow comrades. Don’t underestimate the frustration of the populous, when a situation goes out of control, a strike can become a grown movement including heated arguments, raising fists and Molotov cocktails. Traditionally, there are ways to mitigate the situation or even to take immediate action, namely city institutions such as the fire brigade which will reduce the likeliness of a fire in their influence radius. There are three different buildings for each incident (remember, explosions are a part of the fire incident): the fire brigade, the hospital and the police station. The fire brigade is the first building to unlock, has a medium influence range but also don’t needs as much constructions space. You might want ensure that your residential as well as production facilities are covered by enough fire brigades or additionally boost their effect with specialists items in your city hall. The hospital has higher upkeep and construction cost, but makes up for it with a higher influence radius and a general lower chance of illness spreading compared to a fire. To avoid strikes, you could become a man of the people or you can make sure that enough police force has a watchful eye on streets and neighborhoods. Police stations reduce the chance of a riot in residential and production areas and if things get out of hand (or you just prefer the stick rather than the carrot), you can mobilize your force to put the revolter in their place. Keep in mind that similar to the transport of goods, the street distance affects the time a Red Cross volunteer or police cart needs to get to their place of action. City institution have a limited amount of units which they can send out to fight the incidents. However, you can activate their ability to mobilize additional units in case of emergency: you can call happy residents into civil service, from Red Cross volunteers, neighborhood watch and civil firefighters. Using that ability will spawn more of the specific healing unit and its cooldown is determined by the happiness of your population. Remember: Don’t count volunteers if people are too busy throwing eggs at your counterfeit, if your residents hate you, the cooldown will completely freeze. Another interesting counter to incidents happening in your overcrowded late game metropolis and power economy are items, which you can slot in guild halls to either affect the likeliness of incidents happening in production buildings or specialists like very effective and renown police constables in your city hall to make your institutions more effective. From riots to explosions, we build on the complexity of the incidents feature while working conditions or the use of items leave players the agency to let the benefits outweigh the risks or to minimize the chance of catastrophes to happen. What do you think of the new system and is the thrill of a full grown emergency situation part of the fun or do you prefer a more relaxed approach? 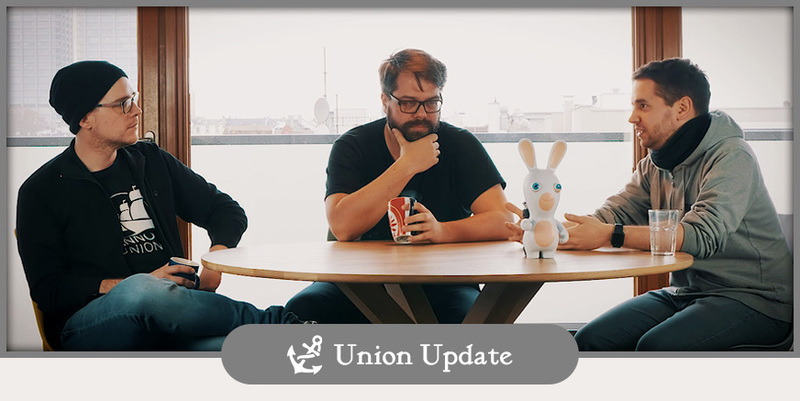 In October we had our first Union Talk, a video where we talked a bit about the development of Anno 1800. Today, we’ll have a new one ready for you, where Dirk Riegert, Marcel Hatam and Bastian Thun discuss their Closed Beta impressions. Additionally, we’ll give you a look at the things to come this week. As usual: Let us know what you think of the Union Talk format and which topics you want to see covered. 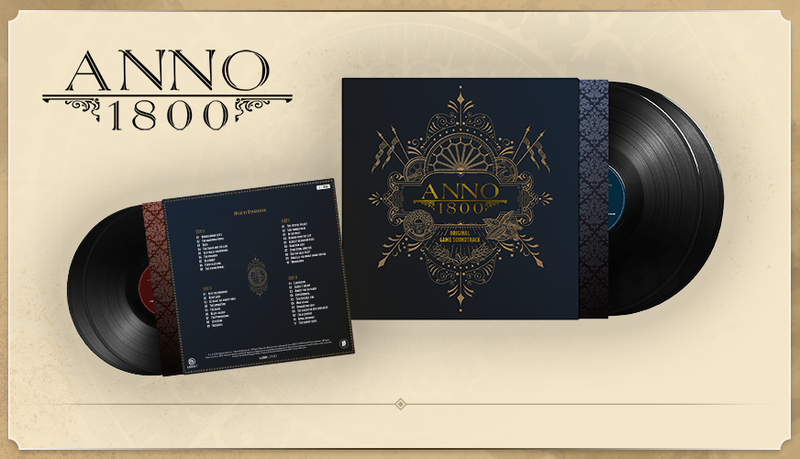 Ubisoft Blue Byte and Black Screen Records are excited to announce the official Soundtrack to Anno 1800™ on audiophile 180g double vinyl in April. The symphonic soundtrack was composed by an experienced team around Tilman Sillescu (Dynamedion), recorded by a 70-member-ensemble of the Brandenburg State Orchestra and will come in a beautiful gatefold sleeve with original artwork by Karakter Design Studio. Get a first taste of the soundtrack here. 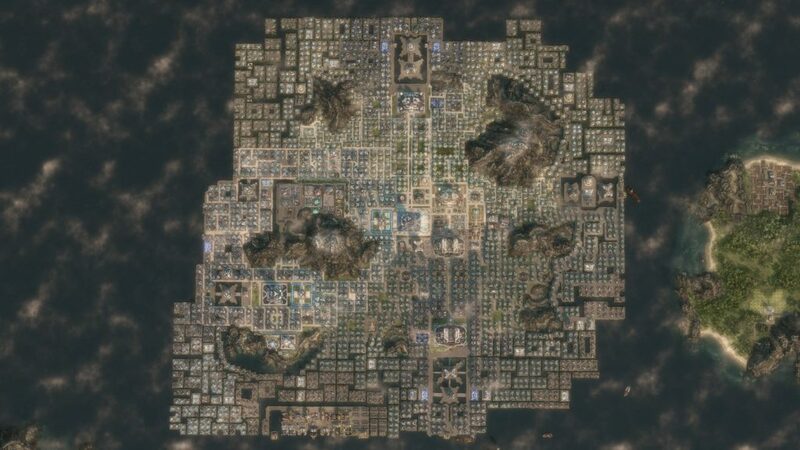 The promised City Incidents Blog will come this week. You’ll get to see, what can happen in your city, when you don’t pay attention. And more importantly: What to do when the fire breaks out and how to prepare for some of them. 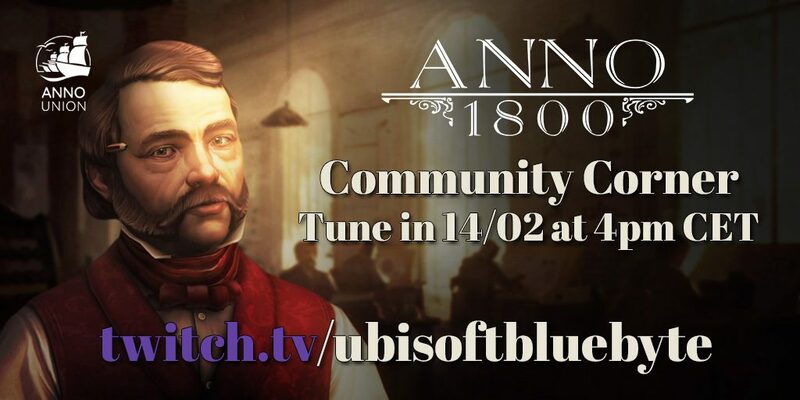 On Thursday, we invite you to our first Community Corner, a livestream with Community Developer Bastian Thun, where you can ask questions regarding the development of Anno 1800, while he tries to build a city in Anno 1800.